And it’s totally understandable; you may have a nice car and want to enjoy its sound, but you don’t want to be doing that all of the time, especially when you are driving through residential areas or in town. 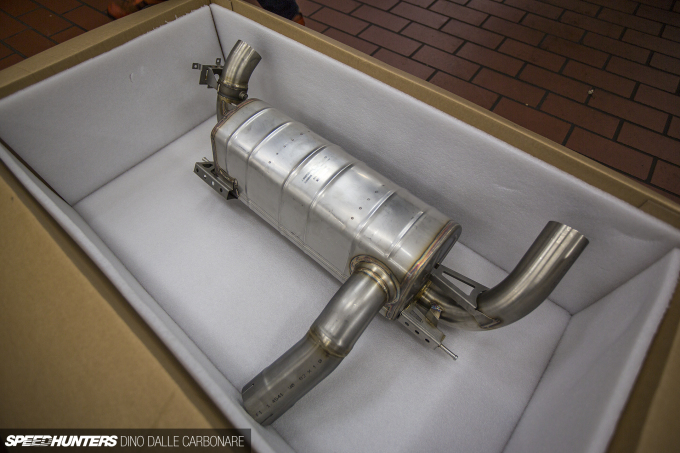 And this is where exhaust valving has helped a lot. Vacuum or electrically-controlled valves allow the flow to either bypass the main silencer or divert exhaust pulses through it to mute a car significantly. Manufacturers control these valves when needed, during a cold start or when RPM is high to lower back pressure, or when you select a sportier drive mode and are treated to the full range of frequencies. But while this is ingenious and might work for most, I found it pretty disappointing in my BMW 435i, aka Project Drop Top. You see, with the car in Comfort and Eco Pro drive modes, the straight-six’s low RPM grunt and high RPM wail is just way too muted. 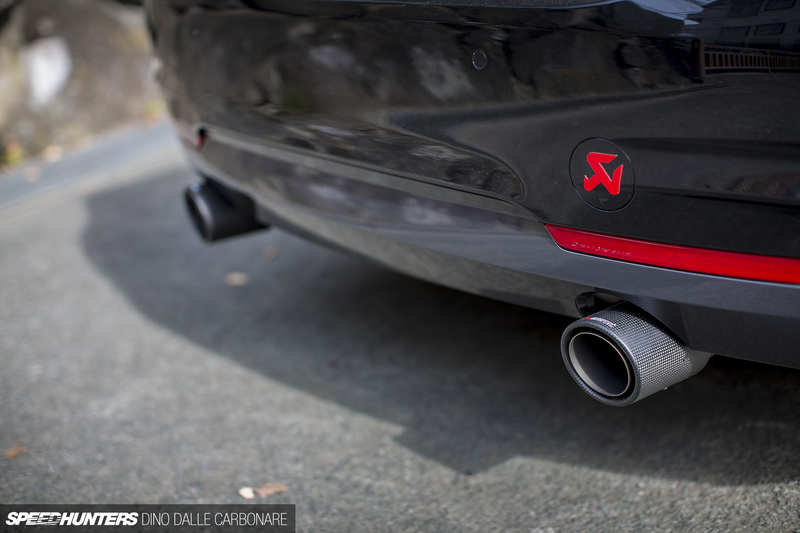 Even when selecting the Sport settings the exhaust never gets loud enough; I’ve always been left wanting a bit more. I never had an issue with the 335i I ran before this car, it was notably louder and there were farty pops during shifts. But the 435i obviously got hit with slightly higher noise restrictions. 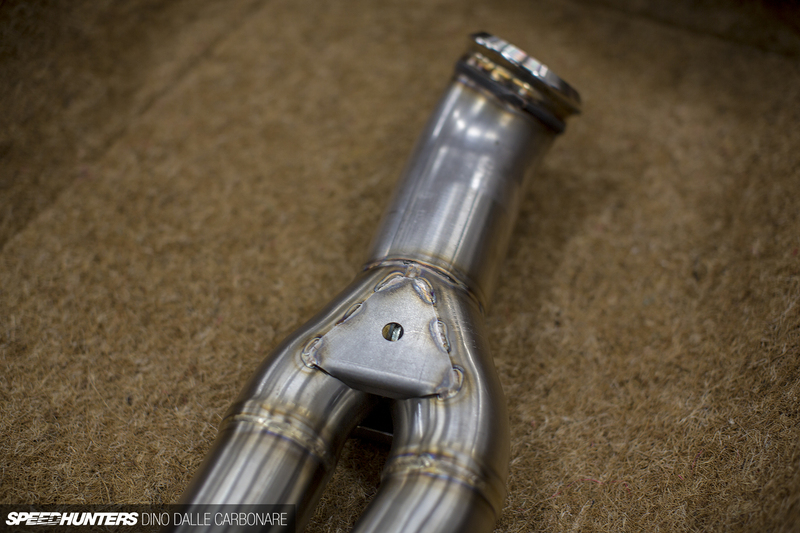 So, something had to be done – valved exhaust or not. Now, I’m sure someone will chime in and ask why I just didn’t pull the connector to the exhaust valve so that all flow would be channeled to the ‘direct side’ of the factory exhaust, bypassing the rear silencer all of the time. This is something that might have worked on the older straight sixes from BMW, but with the actual valve being electrically operated this time rather than with a vacuum line, the ECU would have gotten angry. Plus, the stock exhaust (which you can see above) was just not loud enough. For a daily driven car I like everything to work, and I also like the idea of having the sound of the car change with your driving mood. Call me spoiled, but once you try it you never want to go back. So yeah, I had to address the situation. The way I thought about it was that this would be one of the final pieces to the puzzle – a must to getting Project Drop Top looking, sounding and performing just right. 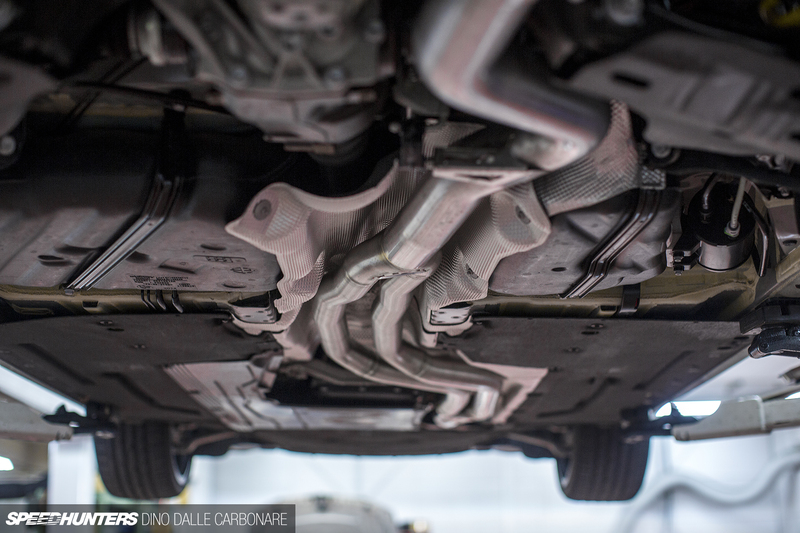 So that’s when the research on an aftermarket system began. After having had a chance to try out a few tuned M3s and M4s running Akrapovič systems, I sort of knew what I wanted, but I still took to the vastness of the interwebs to have a good look at what was out there. Fast forward months of listening to YouTube clips of various systems for the F30 range of BMWs and I pretty much came back to where I started. 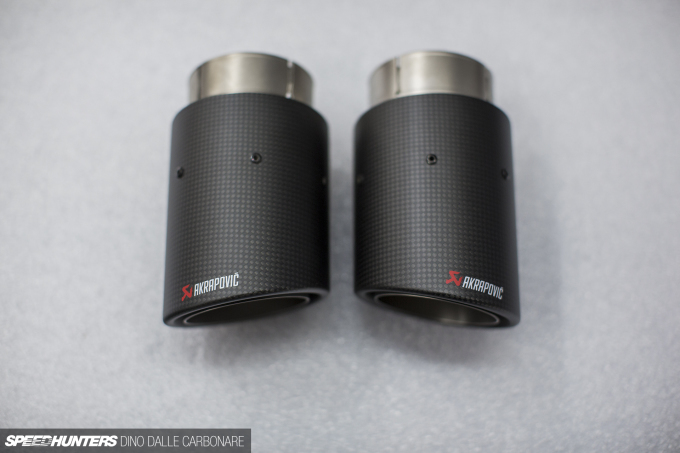 There was something so right about how Akrapovič designs its systems, with emphasis being put on factory-like build quality, fit and finish, and then that usability thanks to the fact that they all feature valving. 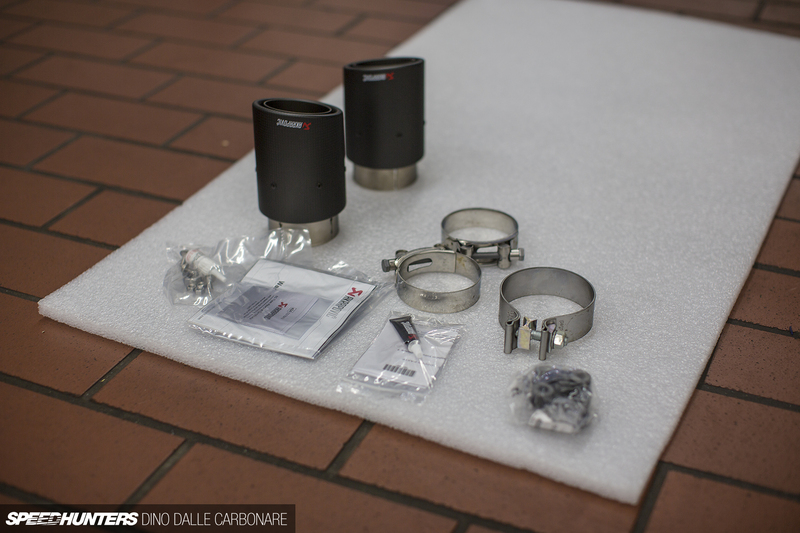 The Evolution Line therefore seemed like the best choice for my little project, and once the exciting phone call came in from the guys over at Studie AG Tokyo telling me that it had arrived, I was quickly on my way. 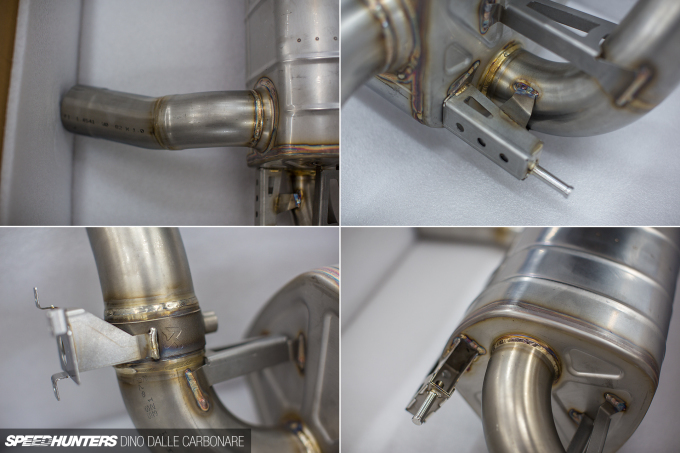 Unlike Akrapovič’s most extreme titanium exhausts for high-end cars, the one for the 4 Series is manufactured from stainless steel. This is something that really didn’t bother me as it makes it all very durable and able to take years of daily use. 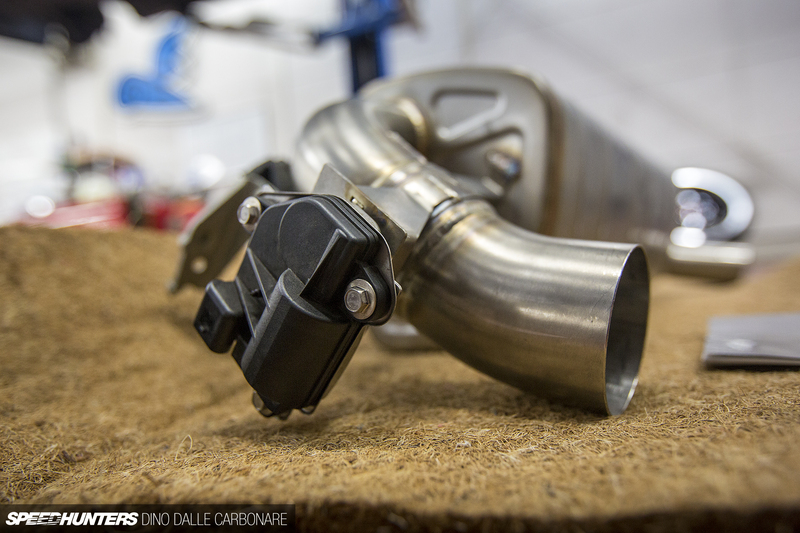 The exhaust comes split into two separate boxes, the first housing the rear silencer section along with the two tail pipes and all the fittings you need to install the system yourself. I had a good look at all the nicely welded on brackets and supports, not to mention the beautiful seams laid out around the tail pipes. Here’s a little look at the contents of the small black box that was inside the main package. Included were the bands to clamp down on all joints, grease to avoid oxidation of the threaded sections, plus bolts, instructions and the warranty card. Starting first with opening up the second box that came in from Slovenia. This is where the long main section of the stainless steel exhaust was packed. 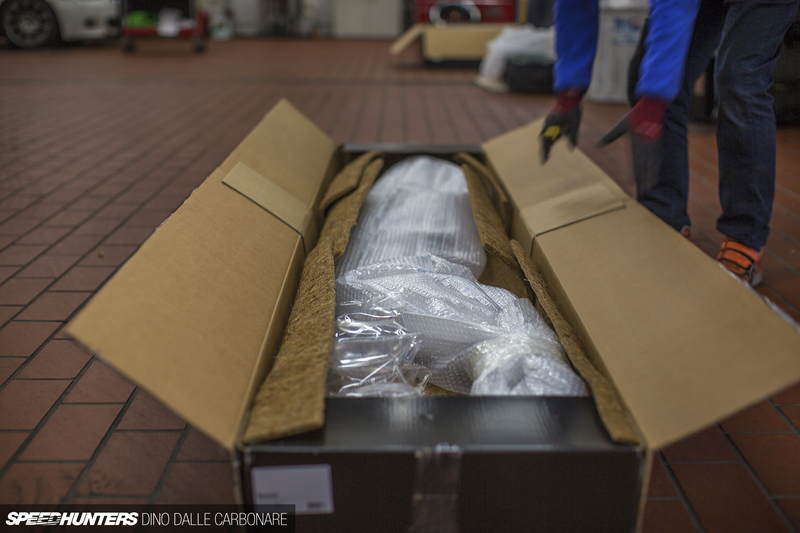 The Studie AG mechanic assigned to the install took no time to cut the box open and fold it away neatly for recycling, before unwrapping the main section from all the bubble wrap that had protected it on its trip across the globe. 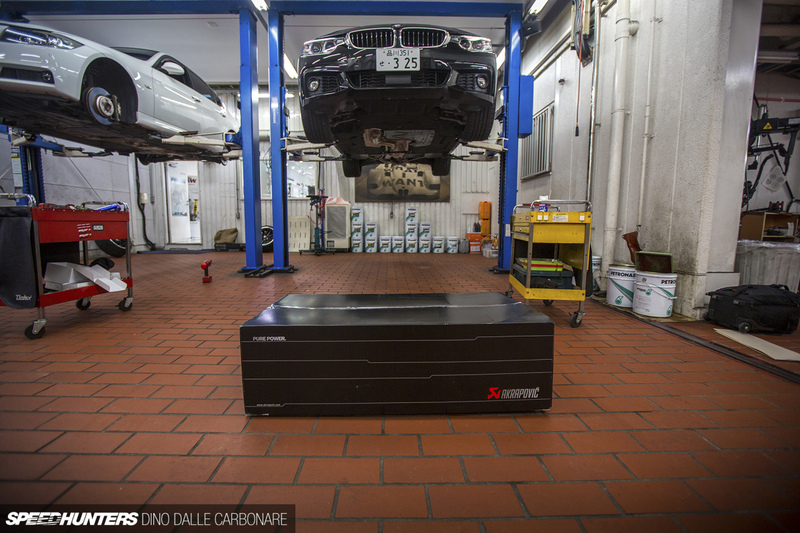 As you can see, the Evolution Line for the 435i is actually a partial dual system. It’s a smart way to boost flow and enhance the sound without using a large-diameter pipe that would then create clearance issues underneath the vehicle. So, once having flowed through the catalyst, the exhaust gases are split into the smaller diameter pipes before combining again in the large diameter single section that plugs into the main horizontally-mounted silencer. 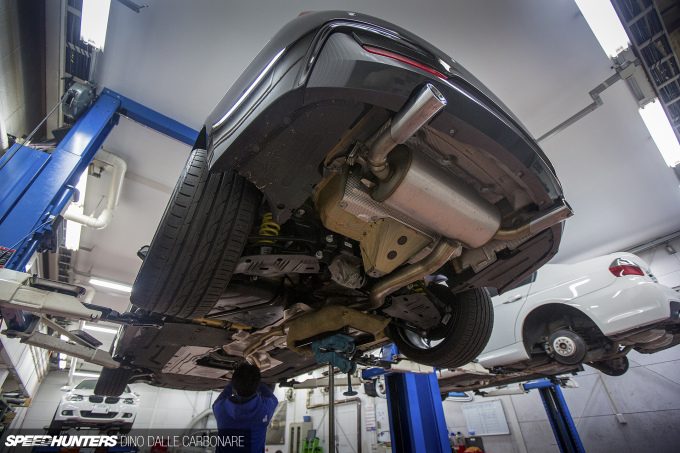 With the majority of the car’s underside being covered with flat panelling to smooth out airflow, once lifted some time had to be taken to remove the right sections and corresponding bolts so that the exhaust mounts could be exposed. With Project Drop Top being a convertible, there is also a massive thick V-shaped structural stiffening bar that has to be removed. This triangulates the rear of the car, helping to give the structure a tad more torsional rigidity since there’s no actual roof to do so. This bar tips the scales at a good 10kg, adding to the weight penalty that convertibles always have over their coupé counterparts. With everything that needed removing, removed, it was on to undoing the few bolts that hold the stock exhaust in place. One other very important thing to do was disconnecting the exhaust valve plug. The mechanic placed a gearbox lift with a padded mat up against the center of the exhaust so that all rubber mounts could be pulled off. The whole thing just dropped down very easily after this. I was pleasantly surprised to see that the stock system, which weighs 21.2kg, is made completely out of stainless steel. 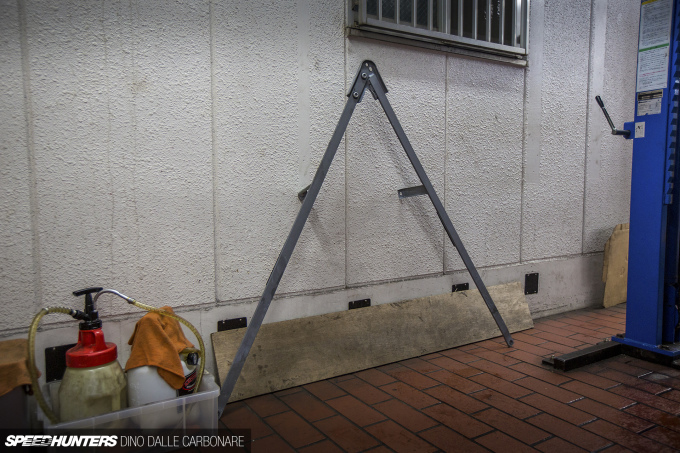 And yes, it is a one-piece construction, probably a way for BMW to save some money on manufacturing and components. The most notable thing here is the single pipe design with a cylindrical sub-silencer thrown in to further muffle the sound. 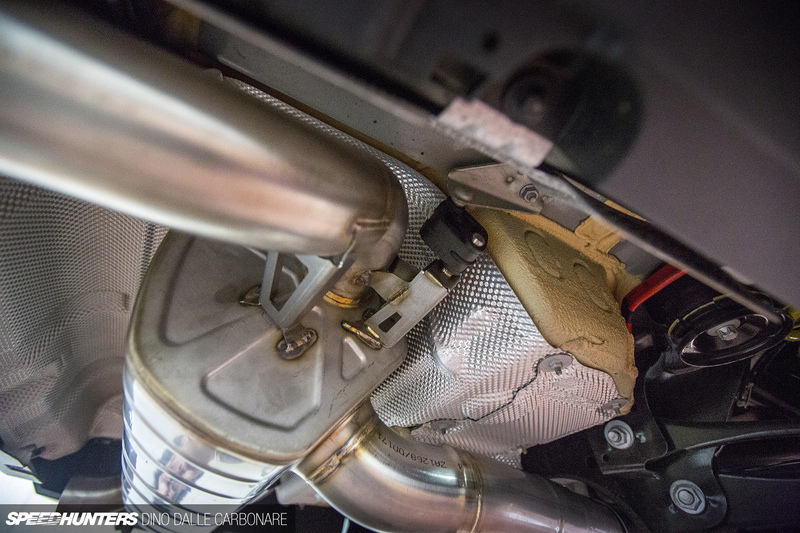 With the stock pipe out the way it took no time to position the Akrapovič center section in place and bolt it up. 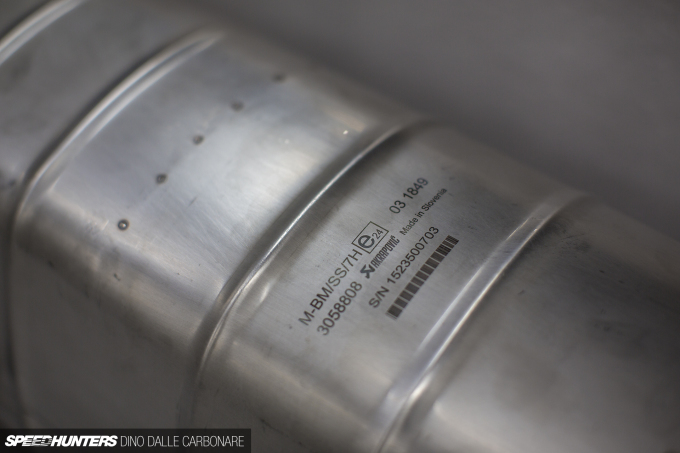 The exhaust valve on the main silencer is in the factory left-hand side position and it’s made out of the same stainless steel as the rest of the system. 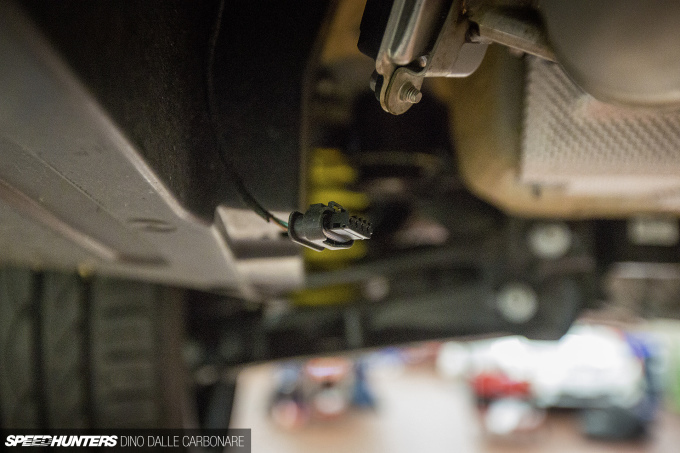 The stock electric motor that actuates the valve was carried over and fitted onto the Akrapovič cradle so that it does the exact same thing it did before. 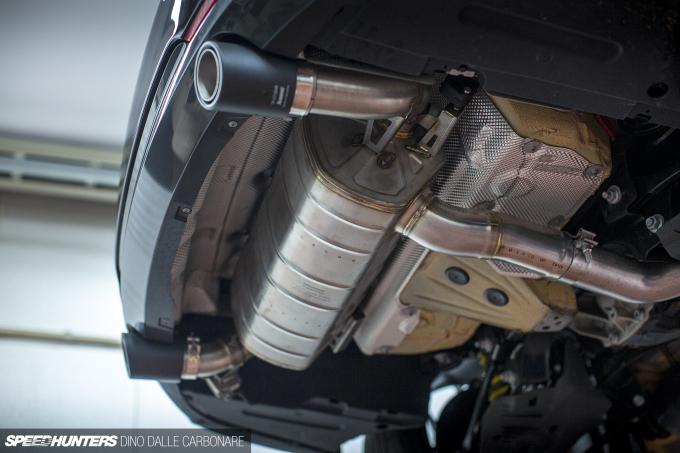 Only now, it’s incorporated into an exhaust that was designed for better flow and sound. The back box had to be slipped onto the main pipe and supported via two rubber bushings. Akrapovič even includes a set of these stock BMW bushes as part of the fitting kit, which come in handy if yours have suffered excessive weathering. With the position and alignment checked and rechecked, the final bolt on the final clamp was tightly secured in place. 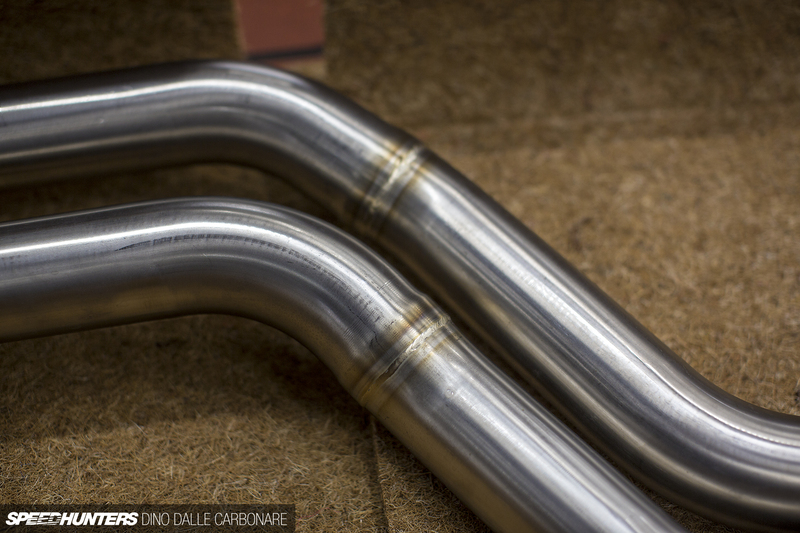 Then it was time to slip on the exhaust tip finishers and have them carefully aligned in all directions. 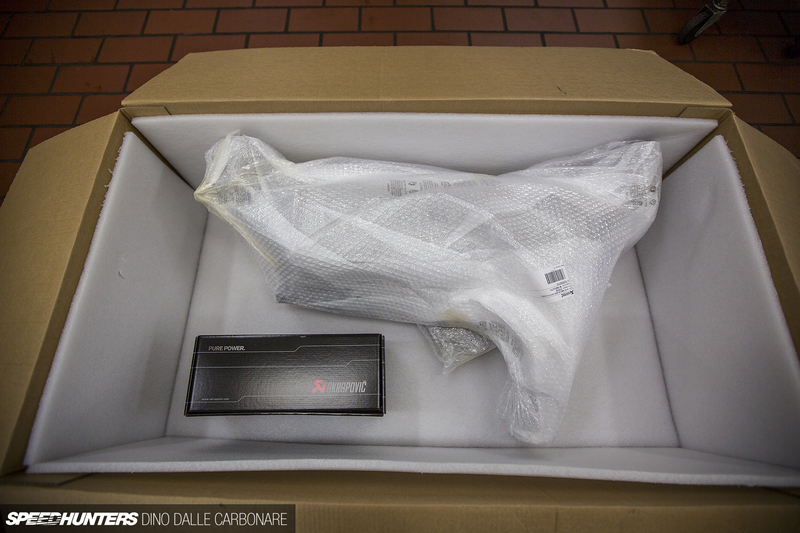 So there you have it – the entire Evolution Line system neatly tucked into its new home. You can see how massive the heat-shielded exhaust tunnel actually is, proving no problem to neatly fit the twin-pipe construction. We turned the engine on and let it idle for a while to ensure there were no leaks and that everything was functioning correctly. After a test drive and more checks the V-bar and the under-covers were fitted back and the installation completed. Was I impressed with the sound? Well, before we get to that hit play above to hear the difference for yourselves. On both the stock exhaust I rev the car in Comfort and then Sport mode so you can compare the difference. Looks-wise, I’m more than stoked because the Akrapovič system is so well designed that it has the appearance of an expensive factory option rather than an aftermarket upgrade. The carbon fiber tails are a really nice touch, adding a more quality feel to the car. Sound-wise I really like it, but I love its range more. It’s a little louder in Comfort and Eco Pro – just the right amount at idle and as you drive around calmly. Step on it and it’s got a much deeper tone resonating more into the cabin, but never in an intrusive way. The sound too has evolved with a feel of quality; it’s deeper and growls more and just gives the straight-six the sound it truly deserves. Flick the drive mode selector into Sport or Sport+ and you get the full effect; those deep frequencies really coming through and the engine’s scream amplified beautifully. The raucous burbling that happens on full-throttle shifts and especially when you back off the throttle sends shivers down my spine; it’s like the car has gained a new dimension in sound rather than having just become louder. 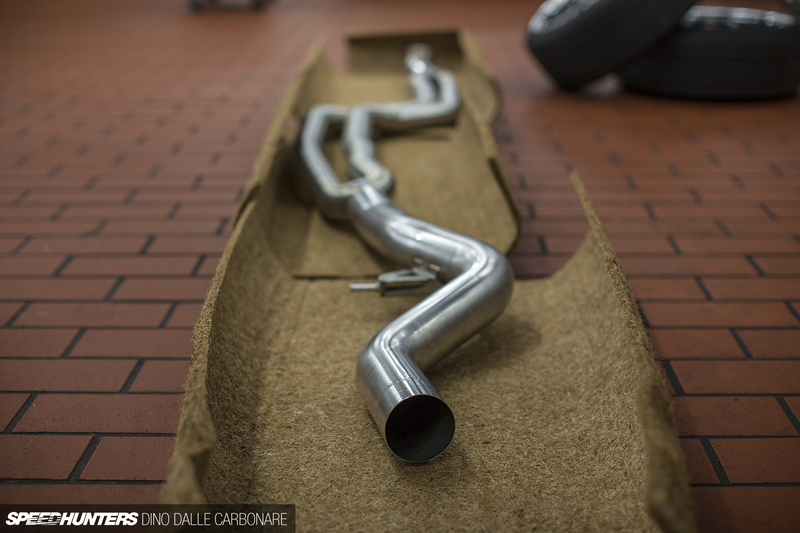 It truly is quality of sound that it’s gained, and that’s the sort of thing anyone would want to complement their car. The video above shows a cold start – pretty damn loud now – and a few short shifts to hear the pops through the exhaust. So how about the numbers? Well, being stainless steel the weight saving is nothing to write home about – approximately 800gm lighter than the stock system. Titanium would have been far lighter of course, but almost overkill on a car that is going to be driven every day and is pleasurable to drive. 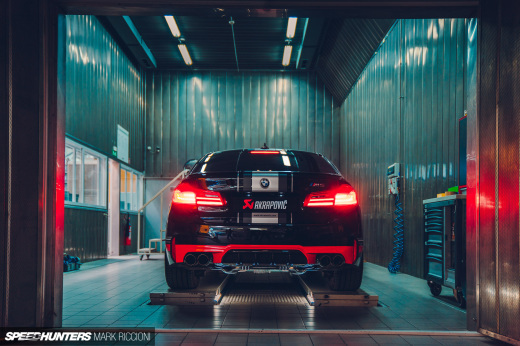 Akrapovič states that the exhaust frees up 7hp, and on a turbocharged 3.0L engine that seems about right. 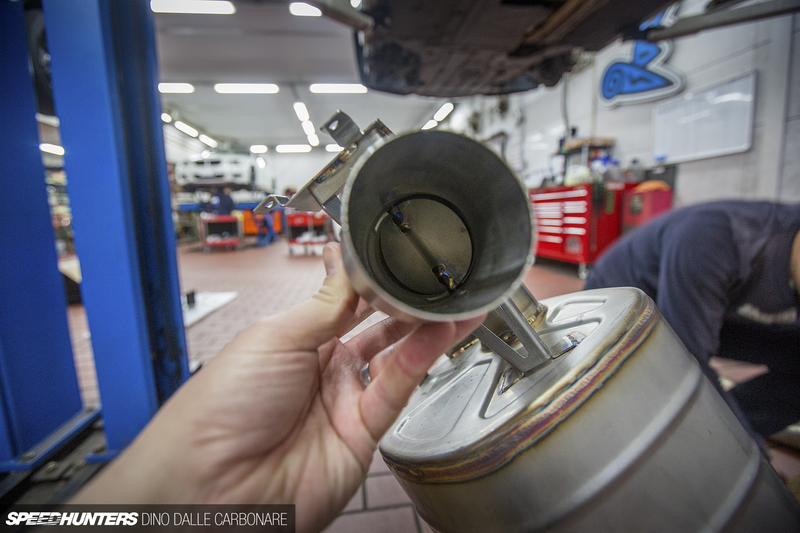 The 10.7Nm bump in torque is also a welcome improvement, and with the GruppeM airbox doing its thing on the intake side Project Drop Top’s motor is definitely feeling a little more punchy. But the sound… It just makes the whole driving experience so much more special and for the time being I seem to be driving more aggressively than usual just so I can get the aural pleasure I have so been looking forward to since picking up the 435i! 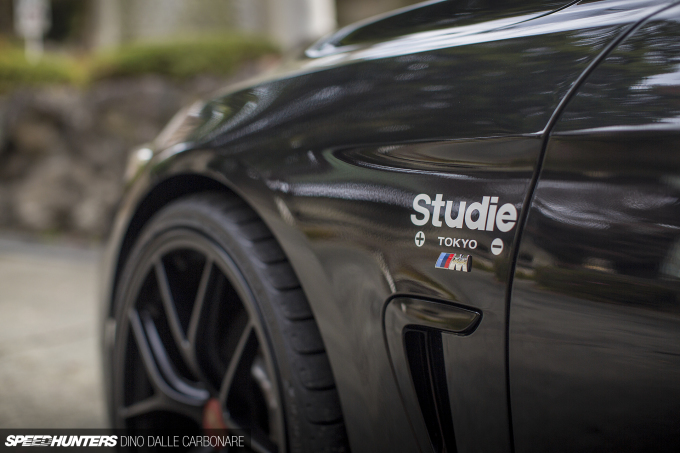 I also thought it was about time that I sported a Studie fender sticker, a proud statement that a ton of BMW owners like to make in Japan. I’m really happy just how far I’ve managed to improve this car over the course of 2015, and there are now only a few very minor additions I’d like to make in 2016 before I can truly call the project completed. Until then, I’ll just keep enjoying it! Sounds great, the new exhaust really brings it alive. By the way, I will be in Tokyo soon, and would like to go to the Daikanyama meetups, do you know where I can get the dates of the event? Really lovely sound. I would love to add a butterfly valve to my exhaust - a retrofit of sorts - to my 91 SW20 - but my country's laws state that these systems must not be remote operated. I'd hook it up to the rev counter and somehow get it to open up on 3,500 - 4,000 rpm which is just higher than my highway cruising rpm of 3,000. Only a couple of problems - money... and I have 0 experience in auto electricals and exhaust work. And it'd be a costly exercise testing it and getting it right. 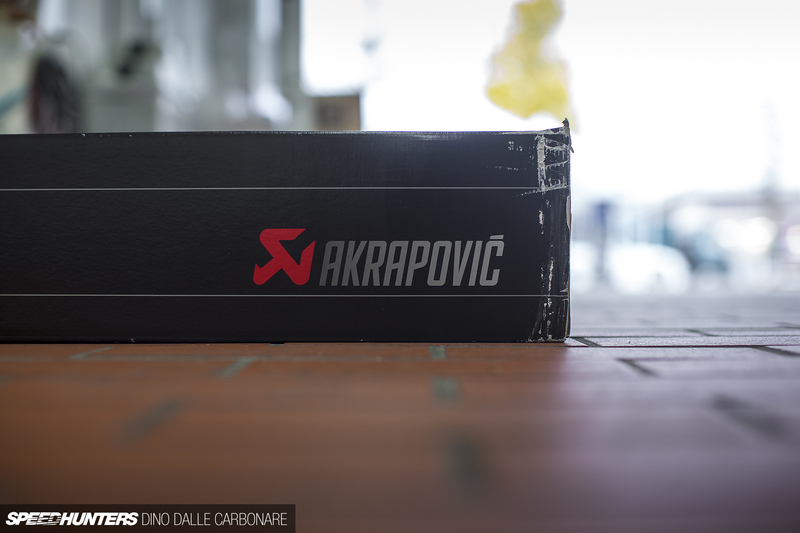 The Arkapovic system is nice. Wonder what the carbon fibre touch does besides make it look pretty. Interesting that they're operating out of Slovenia. speedhunters_dino You can't tell me there isn't a paint shop in Tokyo that would love to have their work featured on your car on this site? Or wrap shop? Or can you only reach out to certain "partners"? Good to see EA sponsor money spent well. Dino, it's so enjoying to see that you use all the highest end parts for your car. The individual parts alone allready make me drool. I look forward to your next (brakes?) update! Hat tip! These projectcars are something I love the most about Speedhunters. Ha i waited for that feature since i saw the video on your youtube account Dino! AWESOME! Nice job Slovenia for Akrapovic exhaust. And Dino for buying it for 435i. BTW Dino, is 800g lighter not 800gm. Whats next on Project Drop Top? 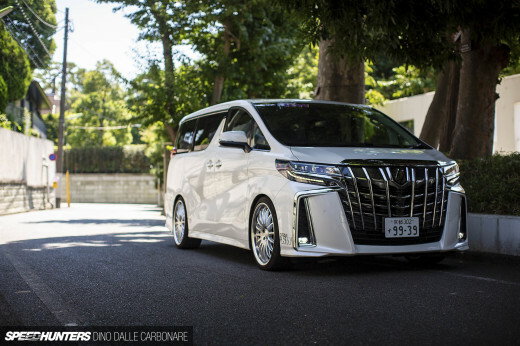 So, the obligatory question; since you have an end in sight next year for Project "Drop Head", are we going to be looking at more overnight shipping from Japan traffic for Project GEEEEDEEEEAHHHH? Haha, anyways, looks and sounds incredible Dino! 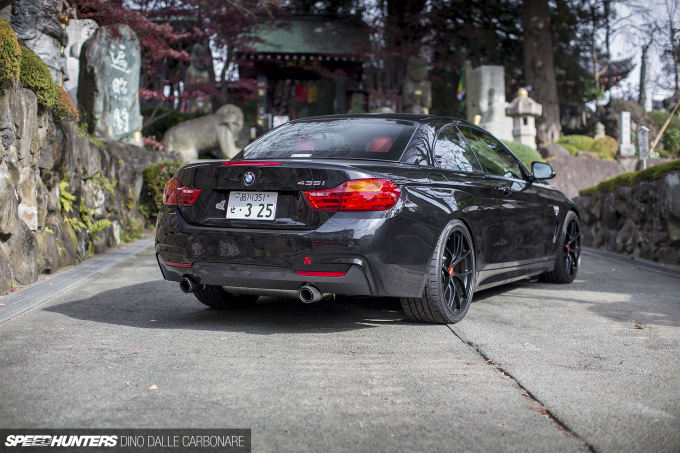 The little scorpion/devil's tail is a really nice touch on the bumper. This makes me happy, my new system is going on tomorrow and then a trip to Northern Ireland for it all to be mapped. Are there many software solutions out there for the 435 yet? @Arsenal i think all the new cars come with orange peel paint as standard equipment, lol. but seriously, after seeing how ultra glossy and ultra glossy finishes always win in IPMS contests, i decided to look around for paint finish on new cars, and all that i see don't actually have ultra glossy and ultra smooth paintwork. Paddy McGrath Not really, BMW has impenetrable ECUs! IRONWOLF RD It's all about Project GeeeeDeeeAhhhh from now on!!! 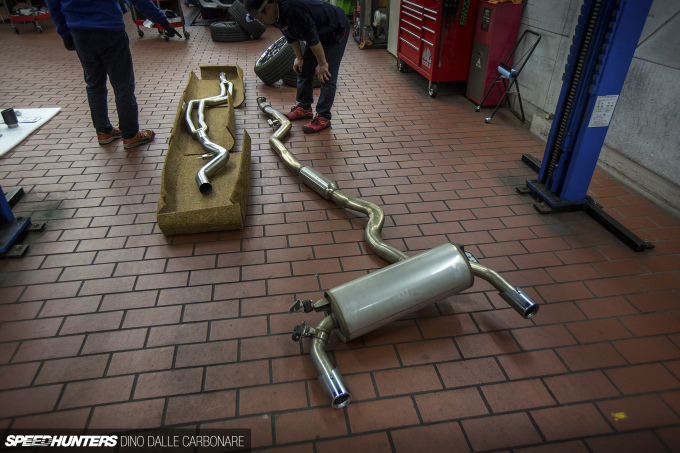 Ahhh....that certain Slovenian titanium exhaust manufacturer. 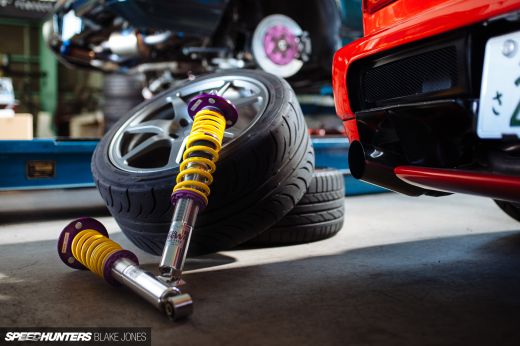 Note to the public SpeedHunters payroll is in the form of gold bullion. Uh, can I send in my resume? Are you recording with your left hand? That's a big box for Christmas! Tuners like ESS tuning offers software for them. Akrapovic exhaust adds 7hp, akrapovic sticker add 5hp, studie ag stickers add another 5hp.